cabbie, you're the man. i've followed your stuff on cf - **** the haters. seriously, i've drooled over this bike on cf, your kwikasfaki, and your other 900rr. id love to see the work you do be put on this site. i wish i had the guts, tools, and knowledge to take on a project like you're doing. i don't post on cf, so i couldn't say anything. 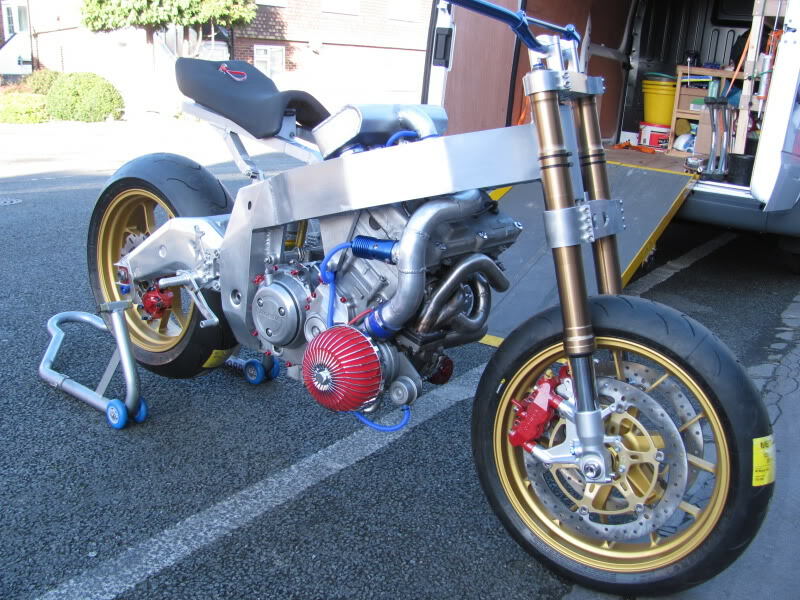 but now that you've put it on here, its an amazing bike you're building. i can't wait to see progress. and i know you wouldn't put anything on the road that didn't deserve to be there (like testing the frame, etc.). i don't get why some of the guys on the net feel the need to be such azzhats. glad you're not letting it bring you down. that said, i love the way the turbo is more to the right side of the bike as opposed to out front and center - closer to the wheel. your's looks amazing. is that all you're doing for the exhaust? or are you fabbing some sort of pipe for it? could an open exhaust like that pass road tests over in england? that is going to be one mean beast. Last edited by Conrice; 01-08-2012 at 02:17 PM. very cool. id love to see it when its done! nicee!!!! what forks are youb using? 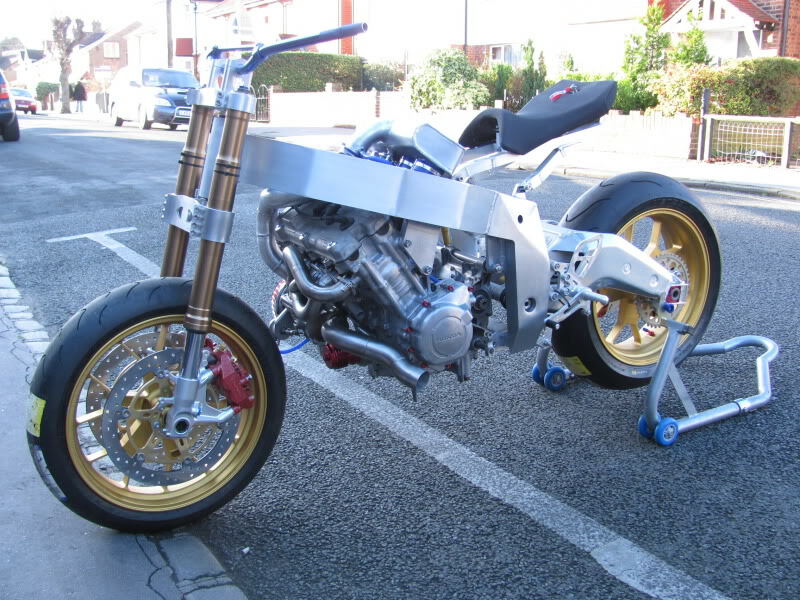 are you building this as a stunt bike then? No! this is the street fighter section.